Cookie butter is primarily made of crushed up speculoos cookies, with the addition of oil/fat, milk ingredients, sugar, and flour. It’s caramel in color, and is used as a breakfast spread or in recipes. There are many variations of cookie butter: smooth, crunchy, and mixed with hazelnut or other ingredients. It’s very sweet and I’ve been known to eat it straight out of the jar! It smells and tastes delicious. If you have a sweet tooth, you will love cookie butter and you’ll want to find lots of ways to use it. I recently spent time developing a recipe using some of my favorite ingredients, like oatmeal and chocolate. 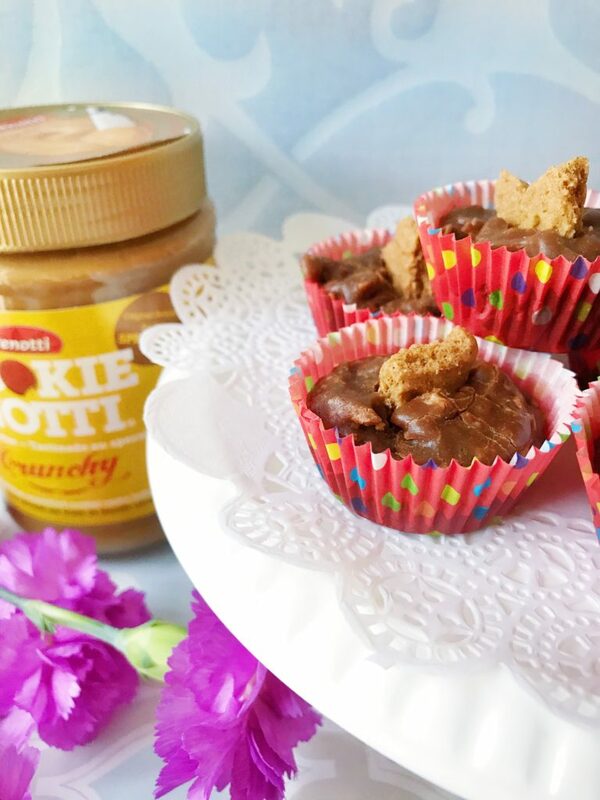 I tested it on my daughter and her friend and they loved these little cookie butter cups. 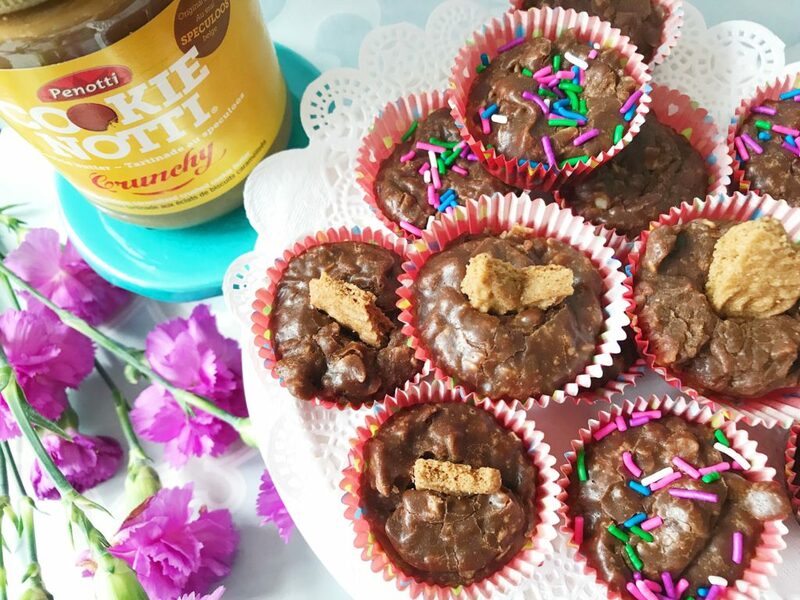 These cookie butter cups are like a piece of fudge or a truffle. 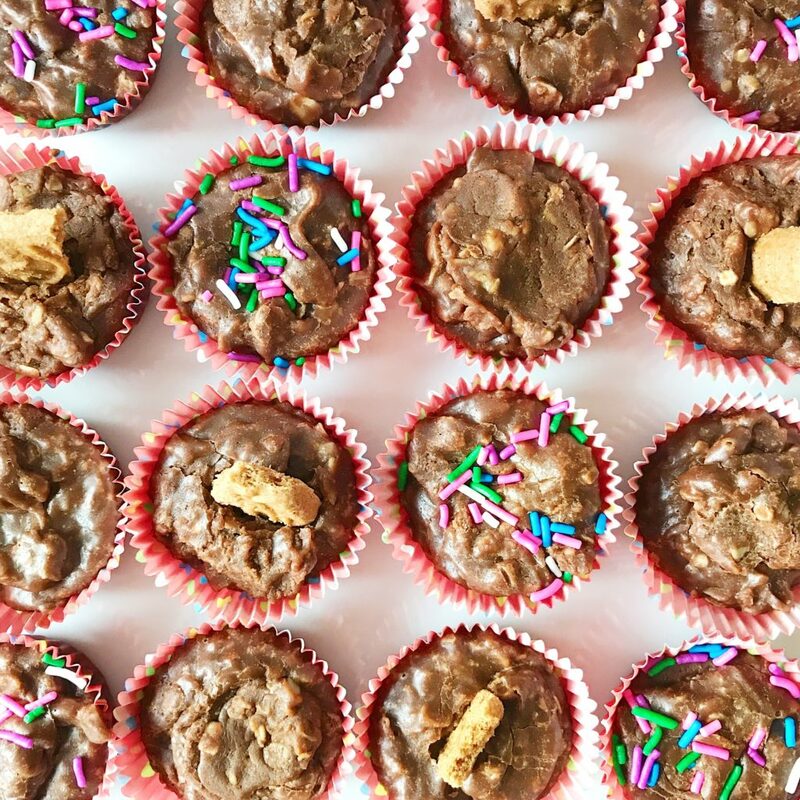 They’re sweet and smooth and, by making them in mini-cupcake liners, they are a small indulgence. Of course, they can be made as drop cookies, or poured in bigger sizes. 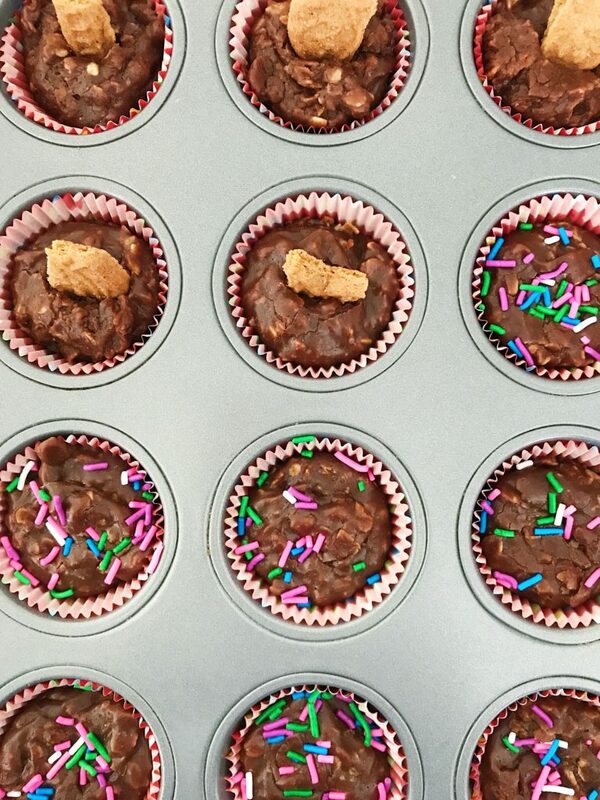 The key to making these cookie butter chocolate oatmeal cups is to use pure cocoa, with no additions of carbonate. I used Ghirardelli, but you can use any cocoa, as long as you check the label. If you use the cocoa with sodium carbonate, it tends to thicken the mixture and alter the texture. 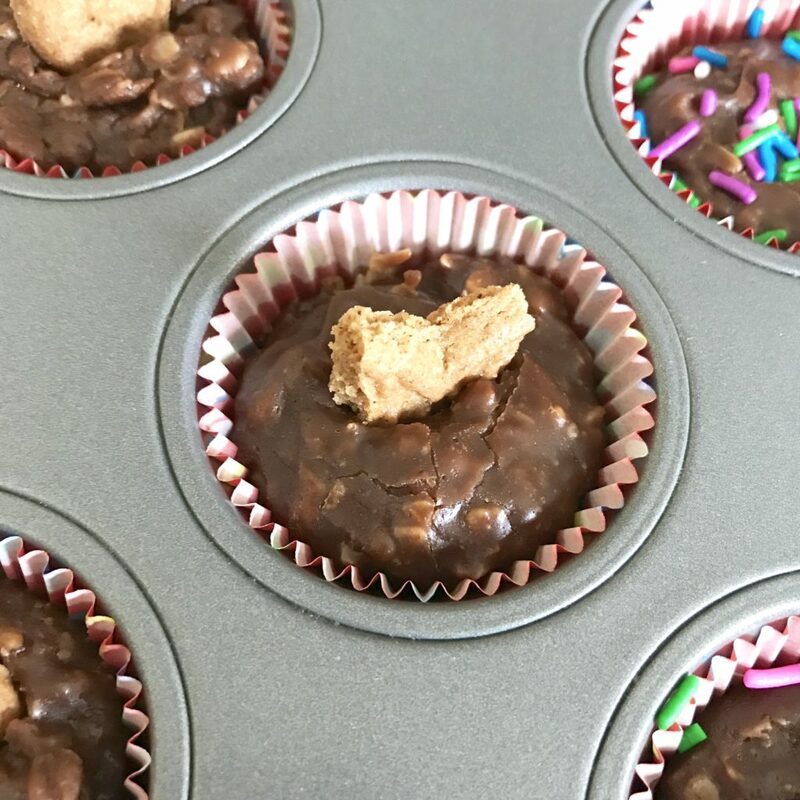 What I love about these cookie butter chocolate oatmeal cups is that they’re no-bake, nut-free, and use one pot to make. They take about 5-10 minutes to make and can be stored in the fridge or at room temperature. 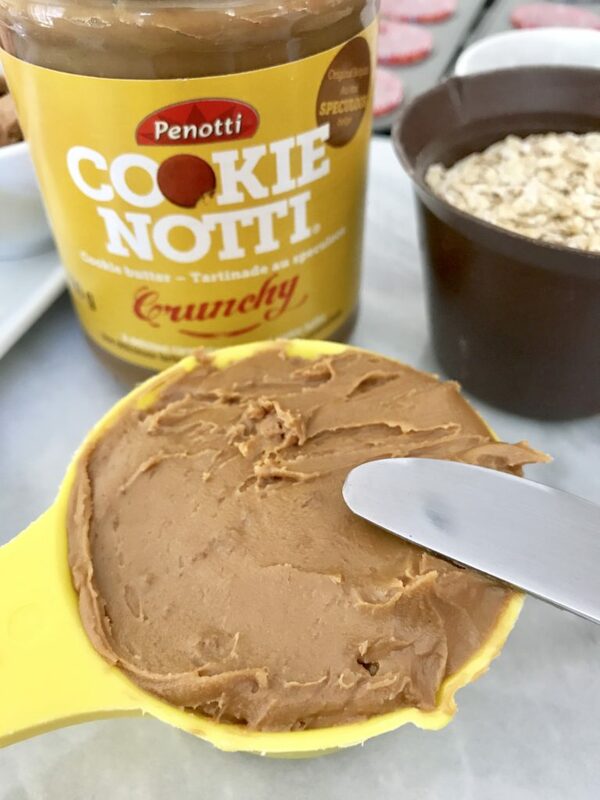 By the way, I’m using Penotti Cookie Notti cookie butter, made by one of the original manufacturers of spreads in Europe. You can find it next to the peanut butter in most grocery stores. Note: you have to work fast once you add the cookie butter. Don’t let the mixture sit or it will thicken and change the consistency of the cups and they will be harder to scoop out and decorate. 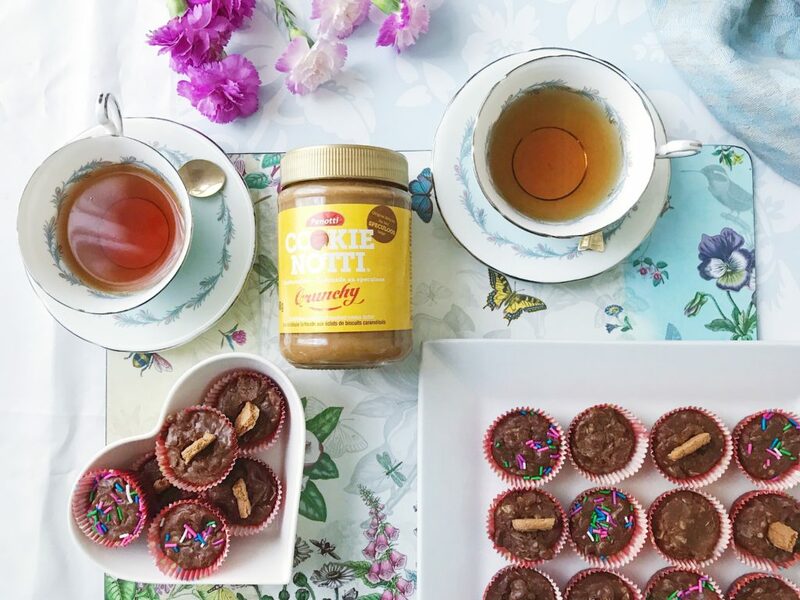 I’ve made other recipes using cookie butter but you’ll have to stay tuned for those in future posts! 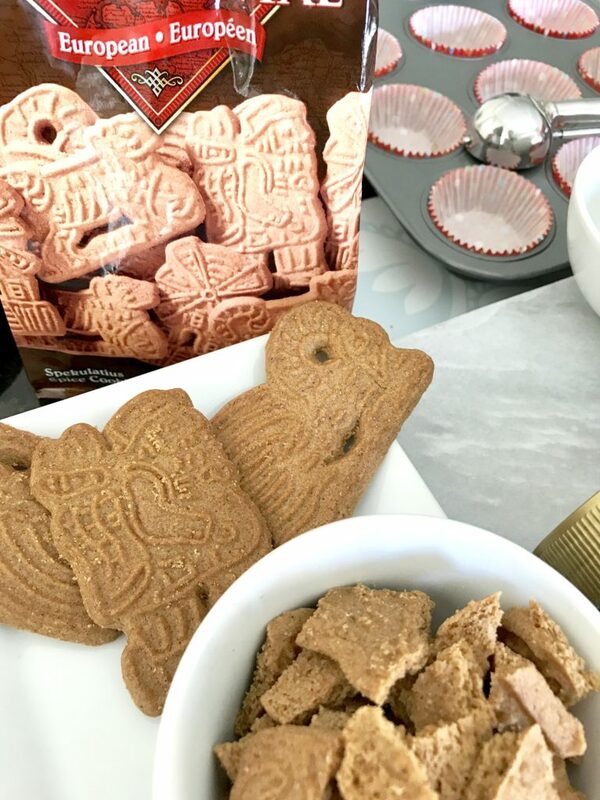 Have you tried cookie butter as a spread or in recipes? 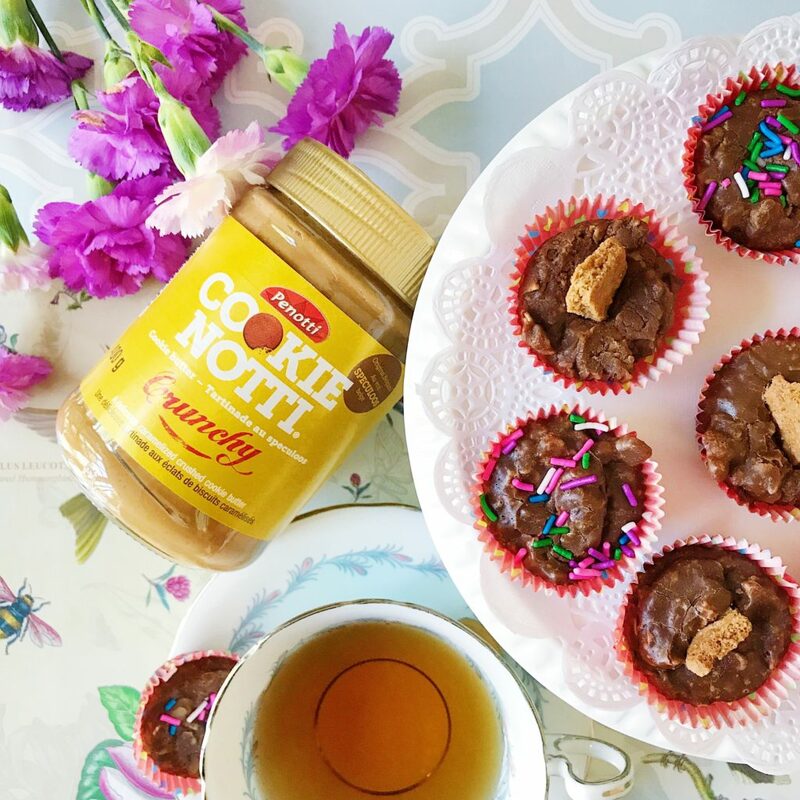 I’d love to hear how you enjoy cookie butter! 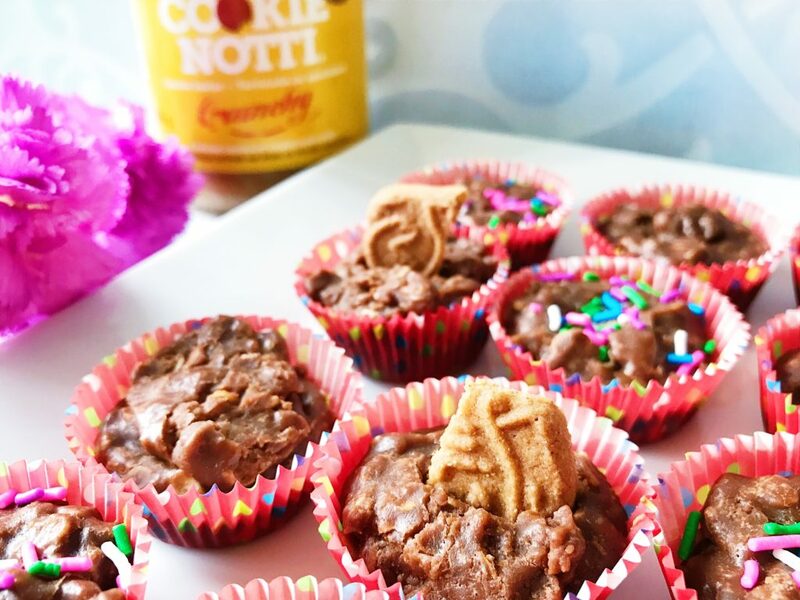 I like to think of cookie butter a bit like peanut butter when it comes to baking. You have to make a few adjustments for consistency and sweetness! Let me know if you try it!